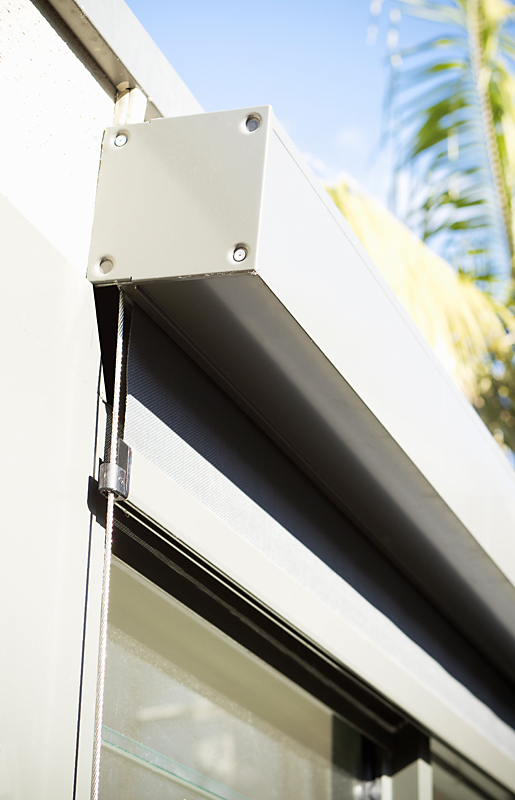 Product information for Alpha External Roller blinds with Stainless Steel Wire Guides. 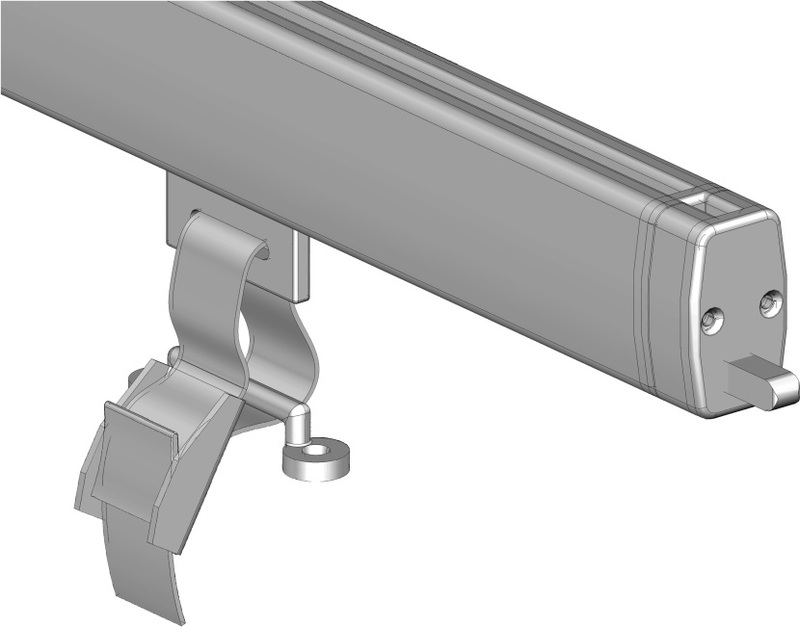 Recess Mount is if you are fitting inside a recess or between 2 columns. If you select this we will make deductions so that the blind will fit inside the recess. Face Mount is if you are fitting outside a recess onto the wall. If you select this we will make the blind to the sizes you have given. If ordered with Head Box it will be the makes size width of the Head Box. If ordered without Head Box the makes size will be from outside bracket to outside bracket. The Headbox is available in 4 powder coated colours and the Baserails match. You will need to select a colour regardless as if you are not having a Headbox you will still need to select for the Baserail. This product is very versatile. 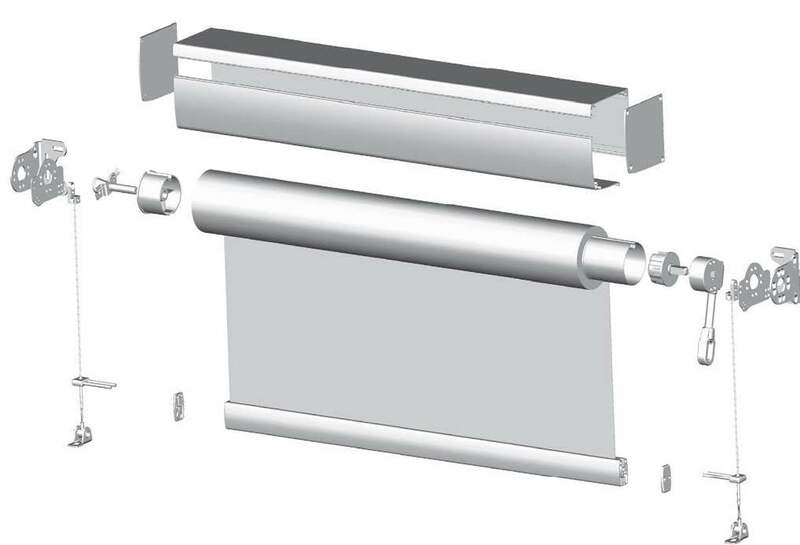 This External roller blind in its standard form comes without a Head Box but with Stainless Steel wire side guides. 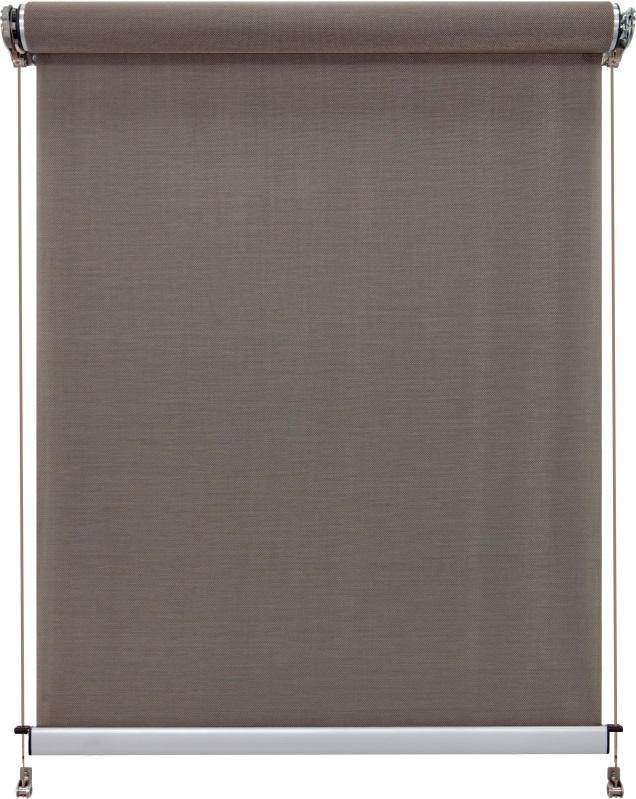 If the stainless steel wire side guides are not necessary they can be removed and take 10% off the standard price. If ordered without side guides make sure to order some locking bolts or straps to hold the blind in the down position. Standard operation is with a crank handle, included in the price. We will contact you to discuss the size of crank handle required. Motorisation is also an option; we use a Somfy brand RTS motor and remote control. Maximum width is 5000mm but up to 3250mm in height with warranty, up to 4000mm height without. An installation manual is available, click here..